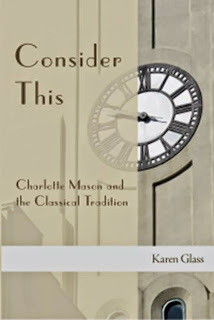 The first is Karen Glass' new book, Consider This. 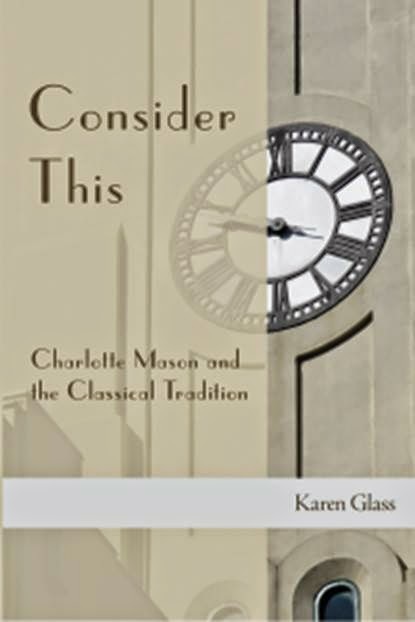 Ever wonder about the roots of the Classical Liberal Arts tradition and how Charlotte Mason's approach to education fits in? This is the book that will put together the pieces of that puzzle for you. It is well written and incredibly accessible. I just finished reading through it for a fairly quick 'first pass', but look forward to revisiting it slowly and savoring it when I get a chance. You can read more about the book at Karen's website, and here is an in-depth review. 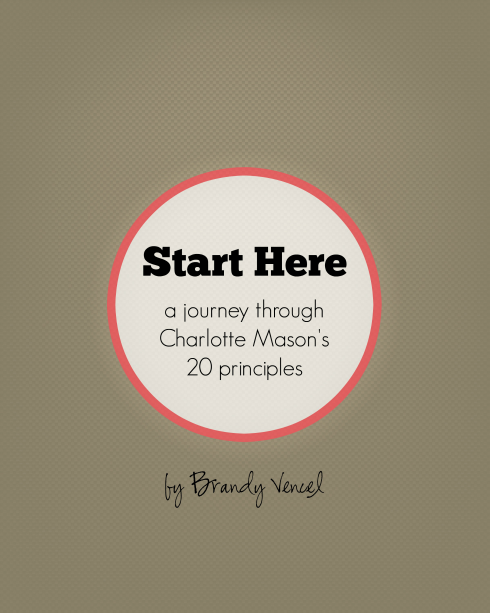 The other is Brandy Vencel's new study guide for Charlotte Mason's 20 principles: Start Here. Have you ever wanted to dig in to Charlotte Mason's writings, but find it a little intimidating to know where? This is a great starting place! Brandy has taken Charlotte Mason's 20 principles and turned them into a study drawing from Charlotte's writings, Susan Schaeffer Macaulay's book For the Children's Sake, and insightful posts and articles from all around the web. In the interest of full disclosure, I haven't actually purchased a copy of this one yet, but I participated in a 20 Principles study that Brandy led last year over on the AO Forum, the same study that this study guide is based upon. It was a fantastic, eye-opening experience – you can read some of my quotes and thoughts from that study here. I am so thrilled that Brandy has made this same study available for anyone who wants to use it to dig deeply into what Charlotte Mason education is really all about.